Today was a blast. 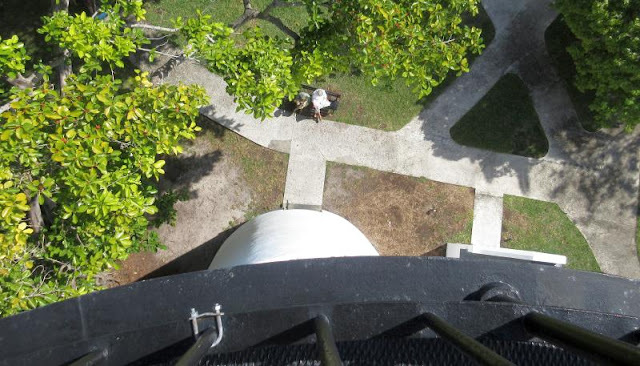 We went up a lighthouse and saw the view. I could almost see fort Zachary Taylor. We came down and went to the museum that was dedicated to the lighthouse and had the official light for the lighthouse. We took the Duval Loop bus to our location. I took 2 more tests today that passed by like a wisp of wind. Duval was not as crowded as it usually is. We did not take Hoolie out today because we where tired. Tonight’s menu is cheeseburger Mac. It sounds delicious so Nana is cooking some for dinner tonight. That’s all that I got for you. We took the Duval Loop free bus down to the Key West lighthouse. It seems to be located now well inland and was decommissioned in 1969 and turned into a museum. Of course Finn and I had to climb to the top while Nana guarded our exit below. Well, someone had to stay behind and Nana volunteered. I showed Finn the letter written by a little girl about living in the lighthouse. 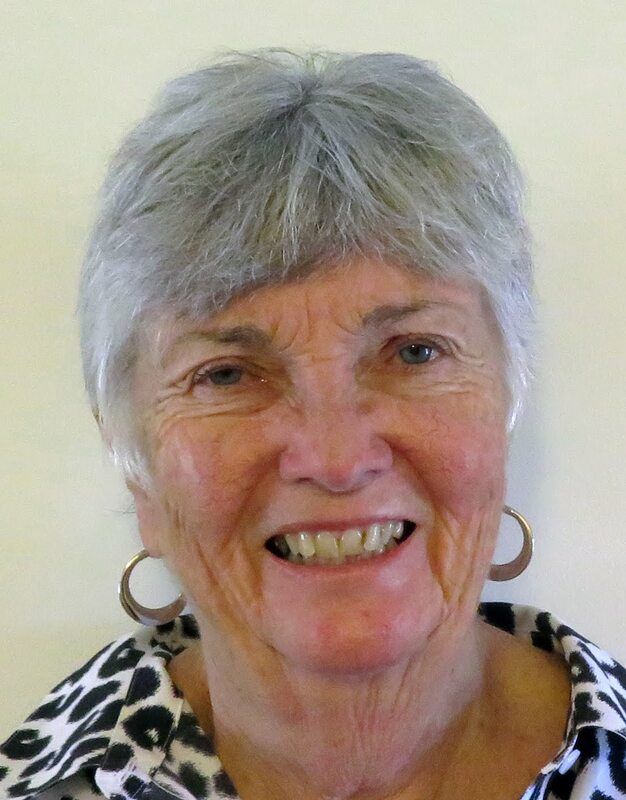 She said there were lots of things to do like reading, playing dominoes, playing board games, swimming, I pointed out to Finn that there was no mention of tablets, phones, records, Facebook, the internet, or anything else that winked and blinked. Somehow they managed back then. Finn was not impressed. 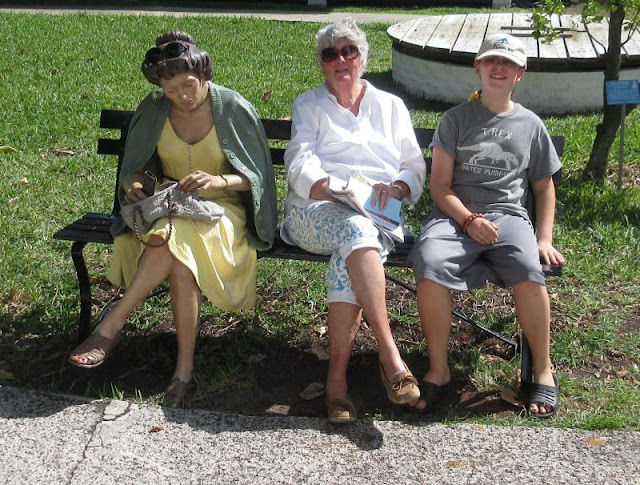 In several places in Key West there are realistic statues set around as if they were tourists looking at the scenery. 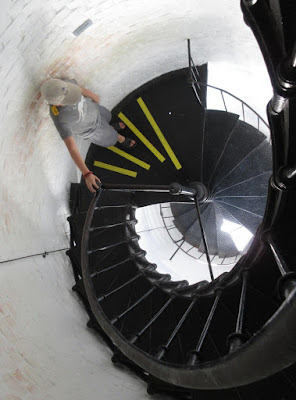 There was one at the base of the lighthouse that you can see in one of the photos. They are all made of cast metal of some type and are quite realistic except for the skin color. 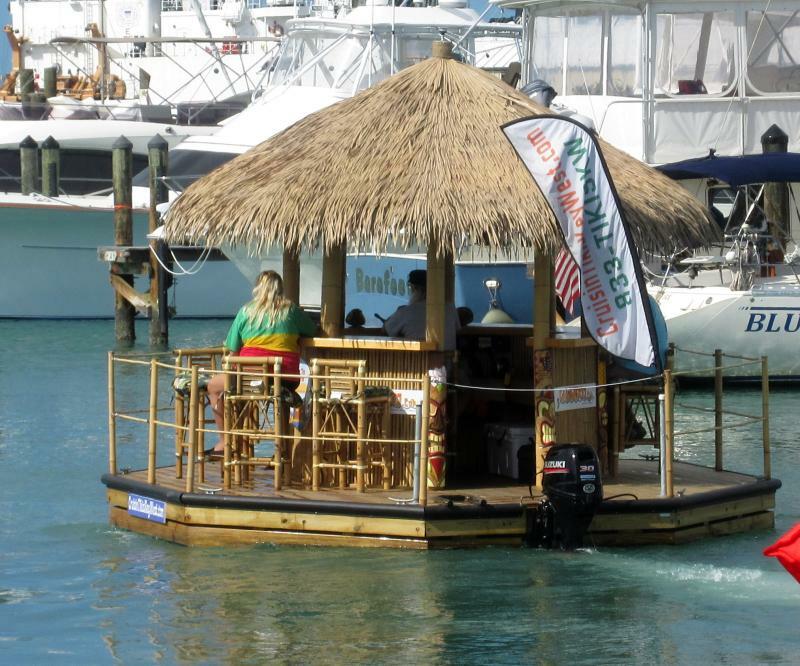 The weather is just great now, typical of what we remember of Key West in the past with temps in the mid 70's and light winds. It's a great time to be in Key West. That statue reminds me of the over-sized statues behind the customs building in KW that were created by Seward Johnson. Seward was the "black sheep" of the Johnson & Johnson medical supplies family, and he prefer to make his fame as an artist.